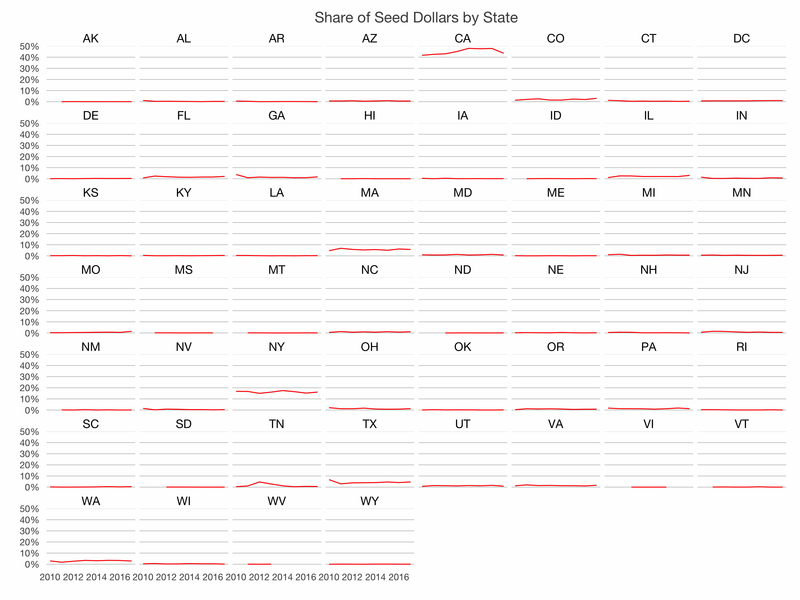 The chart above shows the share of seed investment dollars by state over the last 7 years. California remains the leader with about 40-50% of dollars over time. New York oscillates between 10% and 20%. Illinois has seen some growth, like Texas. But on the whole, dollars haven’t changed geographies. 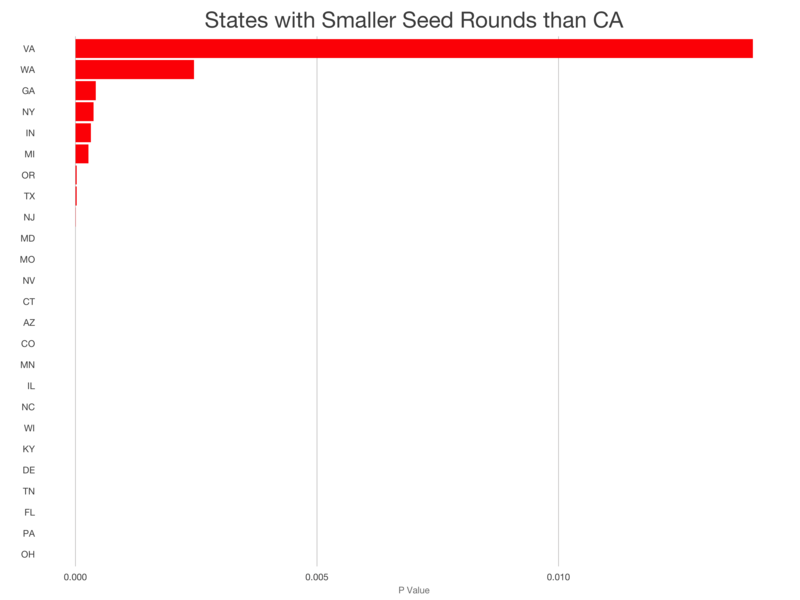 Which states produce the largest seed rounds? 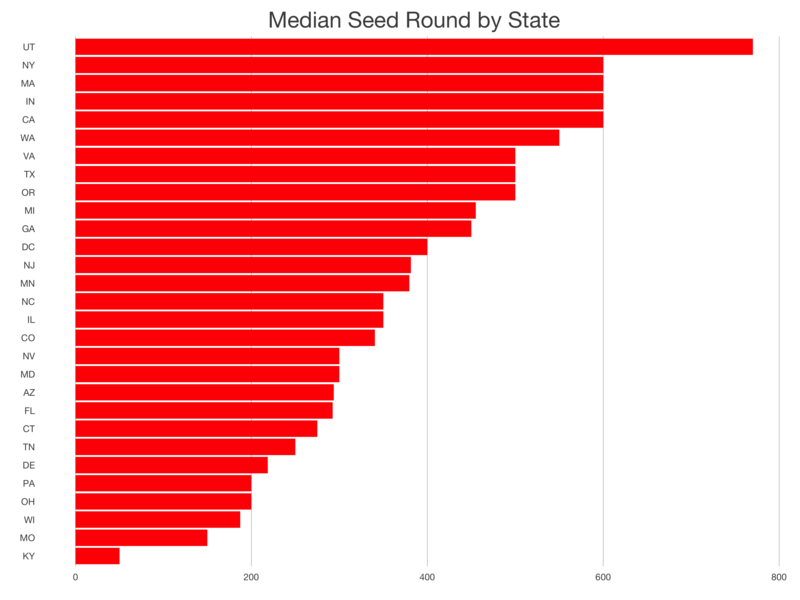 Utah, New York, Massachussets, Indiana and California have the top 5 median seed rounds size. But we need to look deeper to understand the data. Which of these differences are statistically significant? All the states above have a p-value less than 0.05. 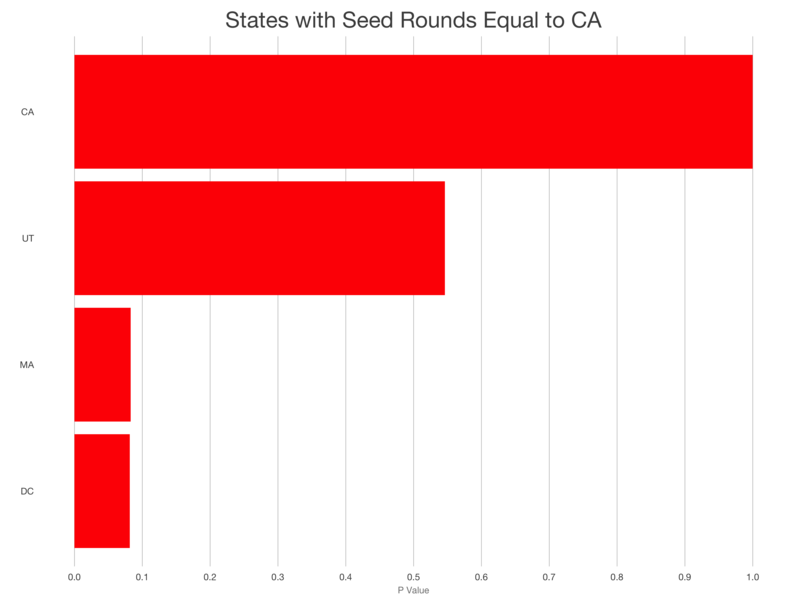 This means there’s less than a 5% chance that median seed rounds in these states are larger than California. 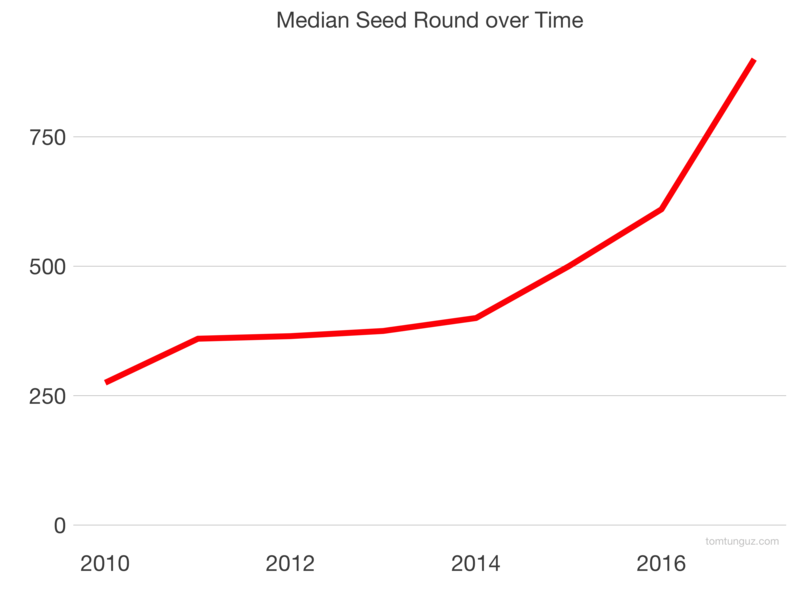 The data strongly suggests only Utah, Massachussetts and Washington DC have median seed rounds sizes equal to California. So, while seed dollars may not be flowing to startups in headquartered in different cities, a different trend is certainly happening: labor market arbitrage. The costs of hiring and retaining talent in the valley continue to increase. Consequently, founders are looking to build teams outside of California. This startup design pattern is common in Israeli companies, but has blossomed to include European businesses, Asian startups and is also happening within the US. Hiring sales teams or engineering teams in lower cost states has become easier and more common. I hope to publish data on that trend in the future.